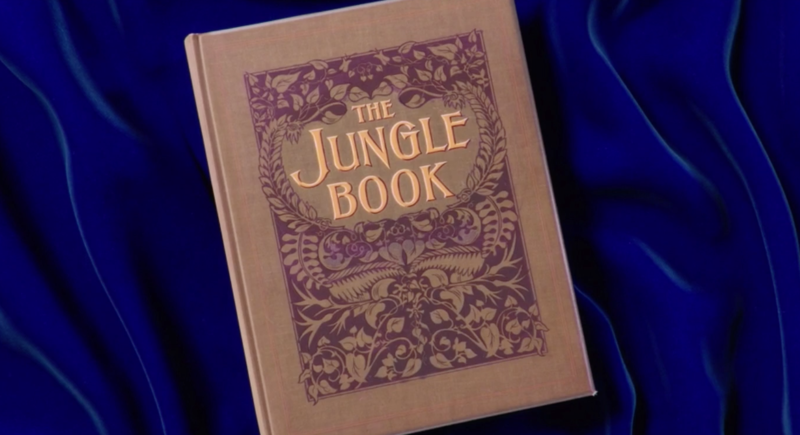 If you're a Disney fan, you probably grew up watching the 1967 animated classic The Jungle Book. And you undoubtedly saw Jon Favreau's wonderful live-action remake of the story in 2016. ...which opens up and beckons us to dive into its pages. It's a lovely little nod to the original, right? But it's actually more than just a visual easter egg for fans. On a recent trip to the Disney Research Library in Anaheim, California, we learned that not only did Favreau want to recreate the same shot as an homage to the original film, he actually used the exact same prop book. Fox Carney, Manager at the Disney Research Library, shared that he and his team escorted the original prop book from the libary to a sound stage, where a custom-built table, a blue tablecloth, and about 40 people were waiting. They filmed the book for nine hours on a 3D camera. 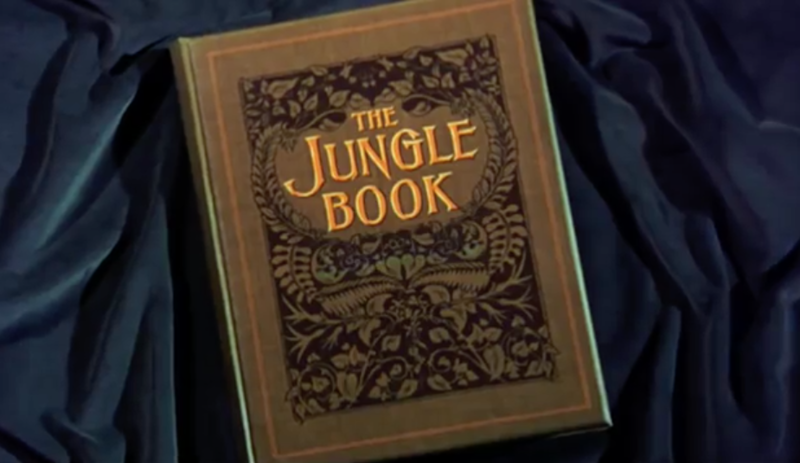 But there weren't Jungle Book illustrations inside like the original — because not only was the prop book used in both Jungle Book movies, it also served as the book we see in the opening of 1973's Robin Hood. So when they filmed the book for the 2016's The Jungle Book, when it opened up, there were Robin Hood illustrations inside (which they obviously changed for the movie). We love a Disney book detail. To revisit even more of your childhood favorite Disney animated classics, check out Peter Pan on Blu-ray and Digital, available now in honor of its 65th anniversary.